Weather proofing is not merely a fancy coat that goes on your roof. It is an important layer that separates occupants of the building from harm that can manifest slowly and inexorably. Residential and commercial properties in Houston are exposed to the harsh effects of nature. 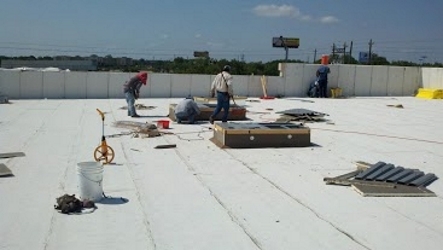 A reputed and reliable roofing company in Houston can insulate you from the effects of nature with suitable roof weather proofing. Roof weather proofing is a world of elastomeric coatings, EPDM rubber roofing, TPO roofing systems, PVC, shingle roofing and modified bitumen flat roofing systems. Weatherproofing is a holistic concept that afford protection to what is beneath the weatherproofing layer. This could be protection from snow, hail, sunlight, or heavy downpour. 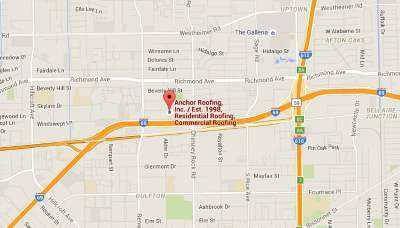 At Anchor Roofing, we expertise in roofs, lends us great experience to understand the science of leaks better. As a result, we are able to lay special focus on areas considered weak, with higher probability of giving in to the forces of nature. Our ability to spot potential problematic areas, helps us to offer a comprehensive solution for roof weather roofing that is foolproof and fail safe. With the right roofing company you can ward off potential damage and also prevent the buildup of conditions that can cause gradual deterioration of the roof.